Hill Air Force Base is employing new handheld tablets for use with maintenance activities on F-35A aircraft. 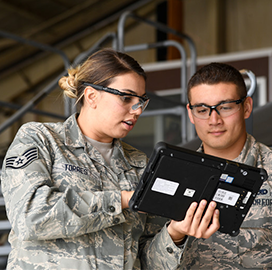 The tablets integrate with Portable Maintenance Aid laptops that connect with the aircraft's Autonomic Logistics Information System, a platform that monitors and records the F-35's status information, the U.S. Air Force said Friday. The new handheld devices address mobility and connectivity gaps found in the laptops that are heavy and not equipped to access wireless internet. 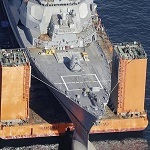 Maintainers now use the tablets to manage work orders and information on a faster pace. “If we have an issue with a jet and need to ground abort, a pilot will be able to sign out a spare right on the line and step to that jet," said 1st Lt. Eric Dolan, aerospace ground equipment flight commander of the 388th Maintenance Squadron. "We can do that right on the flight line without having to call the flight ops desk for a backup,” he added. Dolan's maintenance group will have almost 200 of these tablets to support the base's future assignment of three F-35A squadrons, covering 78 aircraft in total.